​​​Oh, Tathan​. We had high expectations for you in Coral Gables. ​Martell's departure from Ohio State was expected to land him the starting QB job at Miami ahead of the likes of N'Kosi Perry, but it sounds like he's still got some work to do. In the Hurricanes' Spring Game on Saturday, Martell was terrible in every facet of the game, even getting booed by Miami fans. Reminder: this game doesn't count, it's just a showcase. Yikes. We'd call this an overreaction from Miami fans, but considering Martell's insistence that he play right away at the U due to Ohio State's coaching change, adversity is exactly what this kid needs. Tate Martell just got sacked by the turf monster. Literally slipped down. He then threw a screwball/wounded animal down the middle of the field. Yikes!! 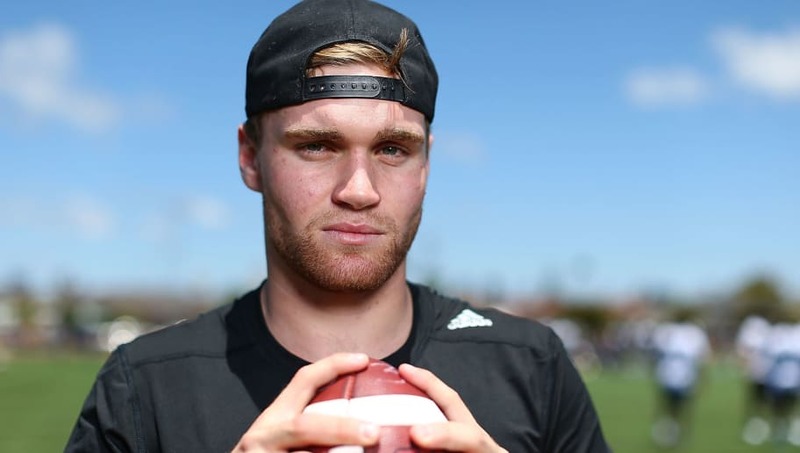 A simple Tate Martell twitter search is sure to inspire some hilarious results. Tathan struggled to maintain his consistency all game long, and despite being a former 4-star recruit he's already behind the likes of Perry and others at Miami. Manny Diaz isn't just going to hand this job to an unproven high-profile name. The coach even tried to give Martell some gimmes, pairing him against the third-string Miami defense. It didn't go as planned. N'Kosi Perry and Jarren Williams looking good. Tate Martell not so much. There's only so much you can take from a Spring game, but safe to say Martell expected a much different intro to Miami faithful.